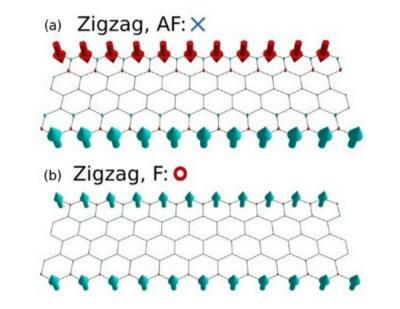 Researchers from Grennole Alpes University in France have demonstrated using atomistic calculations that a lateral electric field can be used to tune the carrier mobility and change the spin polarization of the current driving through zigzag graphene ribbons. The researchers say that these effects can be nicely exploited in spintronics devices. The calculations predict a high variation of the carrier mobility, mean free path and spin polarization in the ZGNRs. It turns out that configurations with almost 100% spin-polarized current can be switched on and off. This work will be first presented at the IEEE IEDM 2016 conference.